Commercial grade & ADA compliant in all 50 states. 48 inches between the handrails. Go to Commercial Ramps. Light commercial & residential use. 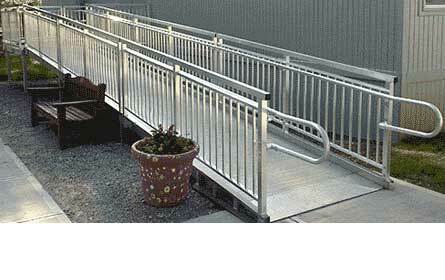 ADA compliant to 30 feet with open style handrails. 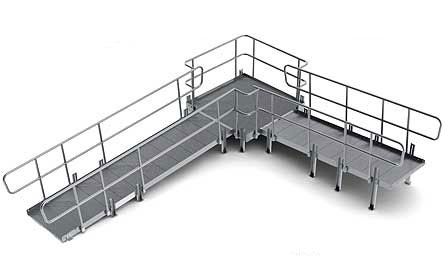 Go to Modular Ramps. 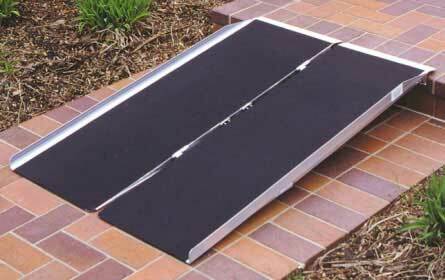 Single Fold ramps are up to 8 feet in length and 30 inches wide for residential use. Go to Singlefold Ramps. 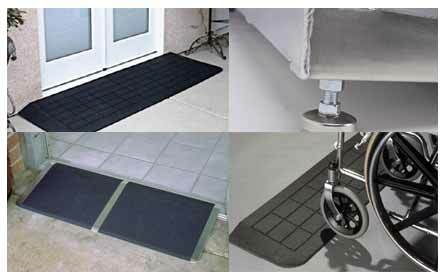 MultiFold ramps are up to 12 feet in length and 30 inches wide, for residential applications. Residential & commercial use. 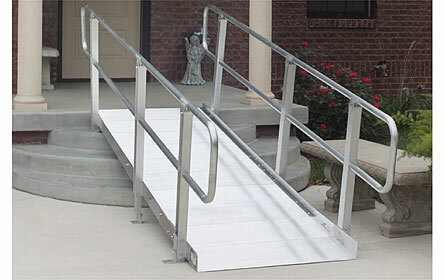 ADA compliant with 36 inch wide ramp for commercial use. 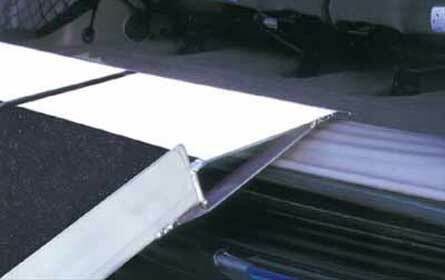 The extended upper part of the ramp is used to clear the bumper on vehicle when loading. Go to Reach Utility Ramp. 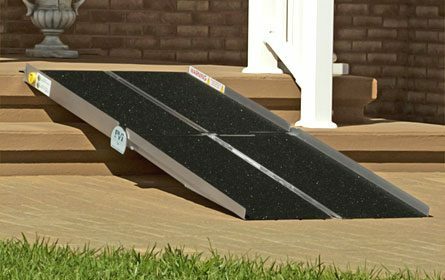 Threshold ramps come in five styles, both aluminum and rubber and with adjustable legs. Used for small elevations. The Ontrac ramp, with or withour handrails. Up to 10 feet in length and 36 inches wide. 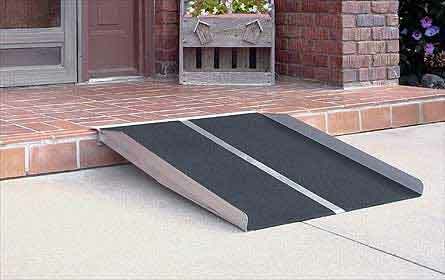 Ramp rests on upper step. 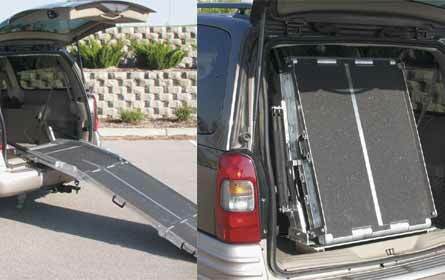 The rear door van ramp mounts to the floor of the vehicle and is spring assisted. Available in 7 or 8 foot lengths.